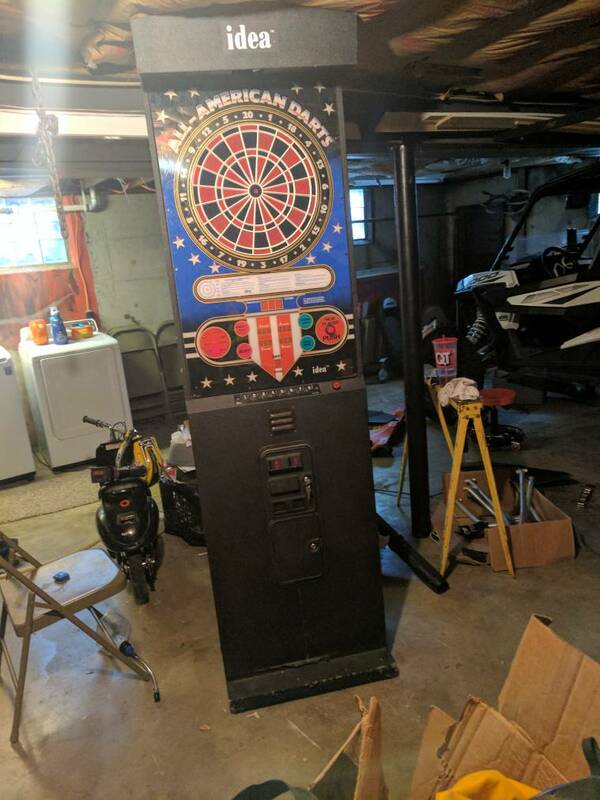 Hi guys, I have just got an "Idea All American Dart Board" and have an issue with it that I am unable to figure out right now. 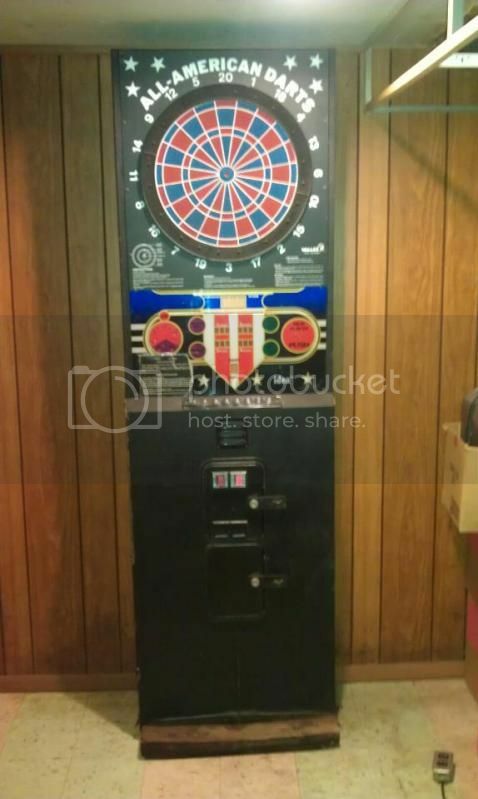 The dart board was missing 2 fuses in the back right next to each other. The fuse next to the switch was still intact, and labeled as 250v. So I bought a few more 250v fuses and placed them into the missing slots. After putting the fuses in, the board lit up and then shut right off. I noticed one of the fuses blew....I replaced that fuse and tried again. This time the board stayed on for maybe 2 minutes...then shut down again because of a fuse blowing. Does anyone have any idea on what could be causing this? Was there a common problem with this board? I believe it is from 1987..
That is what eventually became a Valley dart game which was then in turn bought out by Shelti Darts. Shelti still has some parts and support for these old machines if you talk to the service department. We used to have a couple of these on our route about 25 years ago. From what I remember, the majority of problems were on the power supply assembly, usually a shorted diode or shorted voltage regulator. So the power supply on this is not interchangeable with others? The Century Dartes and All American darts used the same power supply. Thank you very much Ken I will probably pick that up. Any chance you know the pay model or anything so I can search elsewhere also? You think shelti would sell them? You'd have to telephone Shelti to see what they still have for such an old machine. I have no other information on it. To the best of my knowledge, nobody has scanned any of the I.D.E.A. dart game literature (schematics, manuals, parts lists, etc). There evidently were two versions of the power supply assembly which I think interchanged with each other. One has a giant black heatsink on one end of it. That version is what our machines had. The second version which came later (which I had never seen before) did not have a black heatsink. Attached are pictures of both types I snagged from previous ebay auctions I had seen. Thank you very much for the pictures. I have just looked at it and it looks like I have the one with the heatsink. How can I look up the old ebay auction to see how much it sold for? I think I snagged those pictures over three years ago from an ebay auction. Did you ever get this fixed or contact who Ken suggested? I have one that works 100%, but am missing some of the Dart board segments. Just wondering what became of this thread. I have this board, and it works good. I am looking for a new bullseye. Any one know where i can get one to fit this machine?